Gothic Knights (1990-present) is a Power Metal band from Brooklyn, New York, USA. rooklyn's Gothic Knights, featuring Rick Sanchez (vocals), John Tsantakis (guitar/back. vocals), Mario Cosentino (bass/back. vocals) and Brian Dispost (drums) desired to bring back the glory of classic 1980s power metal, with a style reminiscent of bands like Savage Grace, Agent Steel and Warlord. Both of their first two album albums, Gothic Knights (1996) and Kingdom Of The Knights (1999), received glowing reviews from the metal purists. The second platter also featured Kevin Myers replacing Dispost on drums. 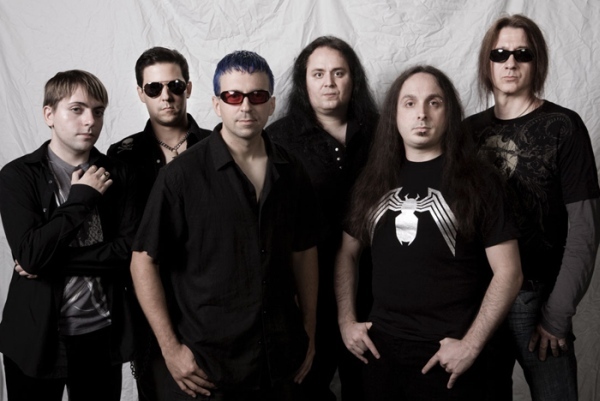 With their third album, Up From The Ashes (2003), featuring Frank Gilchriest replacing Myers, they planned to continue along the same lines with the eventual release of Reflections from the Other Side (2012) with the membership of Mario Cosentino (bass), John Tzantis (guitars), Kevin DeDario (drums), Dave the 3rd (guitars), Jared Sloan (Keyboards) and Gabriel Colon (vocals).